Lumag is proud to announce that the certification audit for a compliance with ISO/TS 16949 ended positively. The audit was conducted by an accredited certification body approved by the IATF. The process of certification consisted of two phases and covered all the processes in the company. During the audit, the degree of customer requirement fulfilment was rated with special care. The auditors confirmed that Lumag has had the supervision process of such requirements and the customer-specific requirements have been effectively implemented. The company is a reliable partner for the existing and future customers. Lumag is well-prepared to manufacture the products of high quality standards. The company meets the requirements of customers from the automotive industry. The certification to ISO/TS 19949 is the further step towards providing a better support to the customers from the automotive sector. Nonetheless, we continuously develop our most important values saved in the “Quality Policy” and still continue to build the company on the foundation of quality. As a company aware of the impact on the local and global environment, we want to operate with a reduction of such influence. In order to protect the environment, once again Lumag has been assessed in relation to compliance with the requirements defined in ISO 14001 that we have certified since 2005. For us, a safety of our employees and guests such as the protection of health and life is the superior value. Therefore, our activities are directed towards creating a safe and healthy working conditions. The effectiveness of these measures was confirmed during the certification audit for a compliance with PN-N-18001. The audit took place on 14-16.04.2014 and as a result Lumag is certificated to the requirements of ISO 14001 and PN -N -18001. “Automechanika Middle East” is the leading event for the rapidly developing automotive aftermarket in the wider Middle East and Africa region. 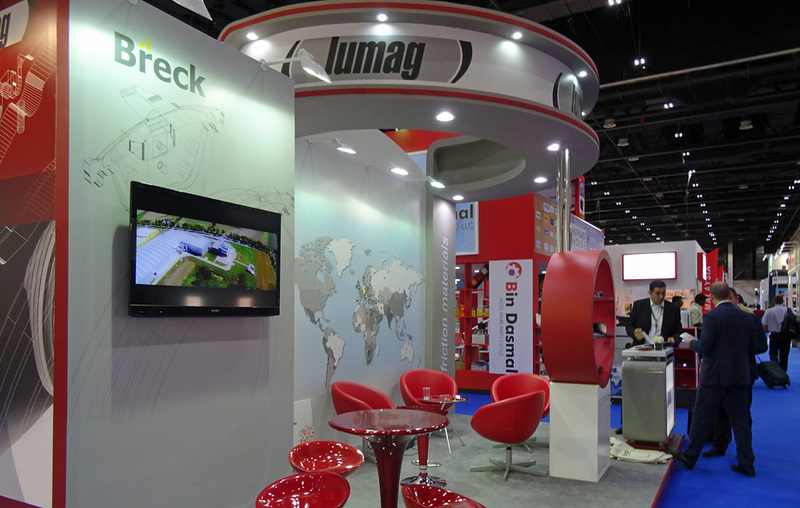 LUMAG enterprise will show its offer of brake linings and pads during this essential exhibition for the fourth time. We invite all the customers to visit our stand no 4AM 232 during Automechanika Dubai 3rd – 5th June. On 19-20.05.2014 Lumag’s plant got orange for a while due to the visit of customers from the Netherlands. At the invitation of Lumag, the top representatives of the Dutch leading distributor of spare parts, Bulthuis company, came to Budzyn with a circle of their regular customers, among whom there were the owners of well-known European forwarding companies, authorized workshops and representatives of the industry media. The organizer from the Dutch side was Bulthuis company, a leading distributor of spare parts for commercial vehicles in the Netherlands with over 150 years of experience in the market and a distribution network throughout the country. 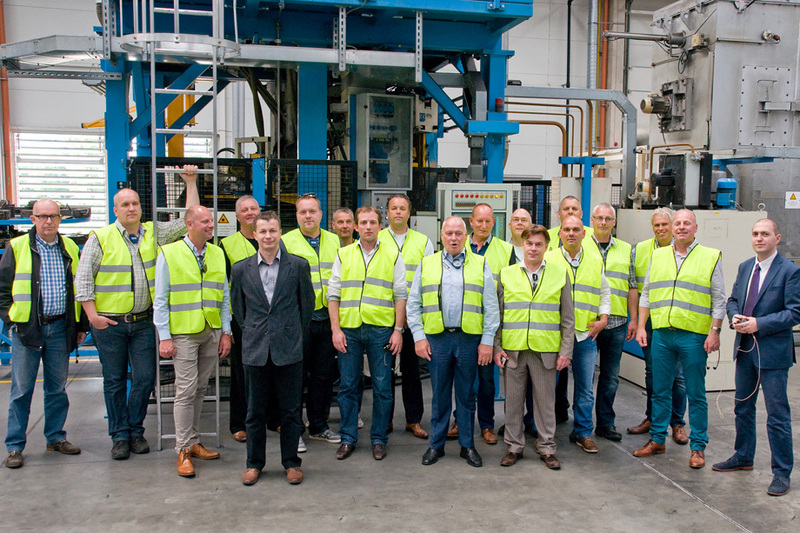 The philosophy of the Dutch company for decades remains the same – a co-operation is possible only with the reputable and proven European manufacturers of spare parts, to which group belongs Lumag since 2012. During their visit, the guests could see the organization of the Lumag’s work, processes of friction material production, in particular processes dedicated for the CV pad and lining production. They could attend the presentation on the development of friction materials by R&D department and exchange the experiences with employees of Lumag on the specificity of the two markets.